First flight February 23 2006 with Boeing N1795B test registration. Delivered Sky Europe Airlines of Slovakia March 11 as OM-NGA. Stored January 2009. 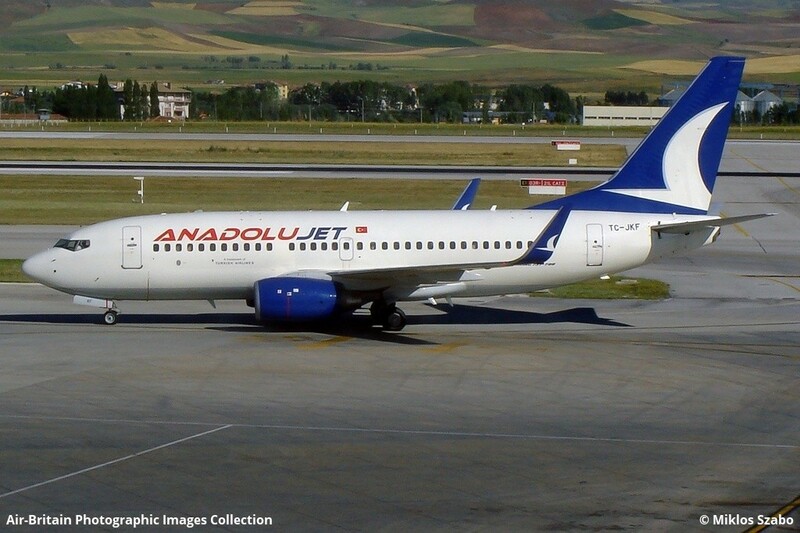 April 2 to AnadoluJet as TC-JKF. Seen here through the transit terminal's thick green glass as taxiing into her position. Administrative to SunExpress March 23 2012 as TC-SAC, where is being leased back since March 24.